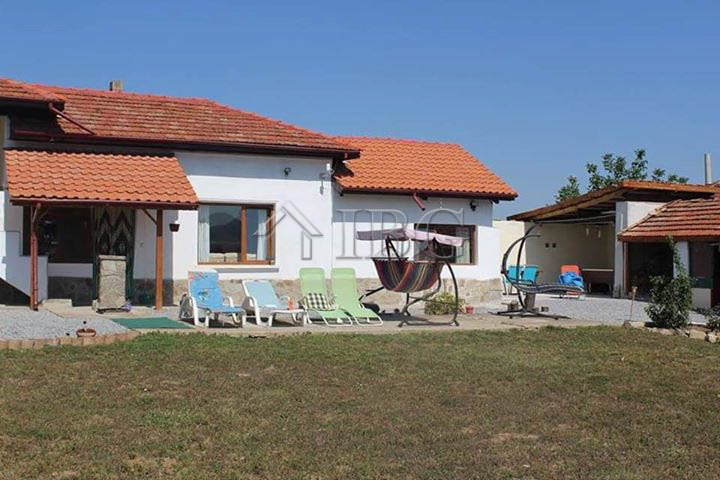 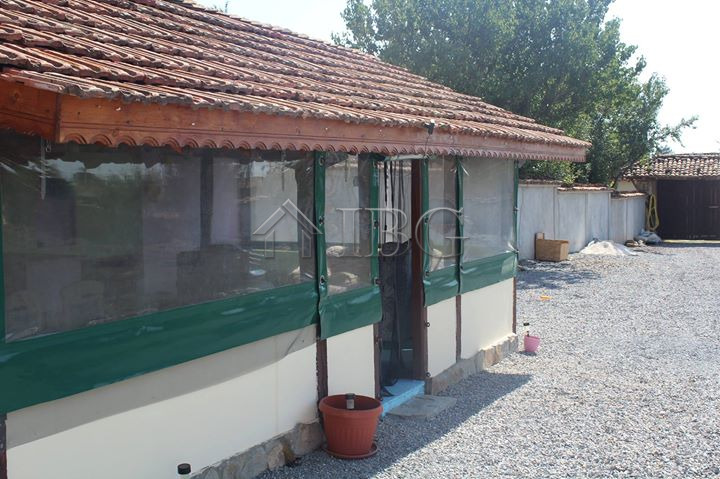 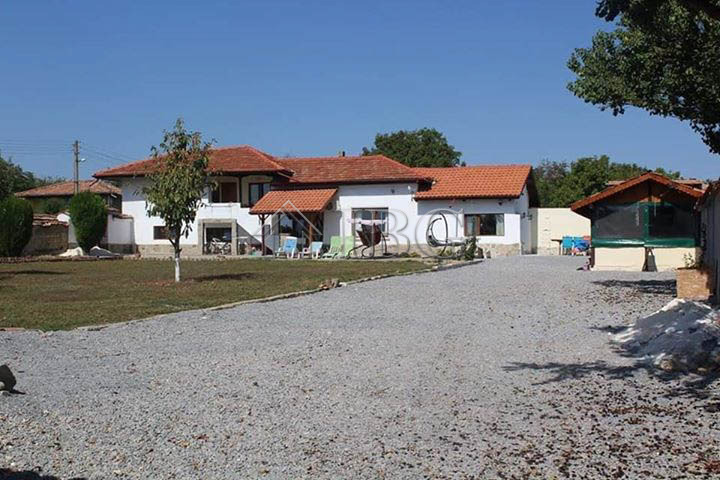 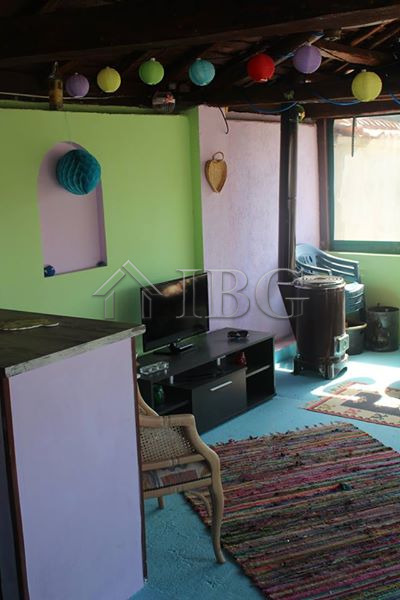 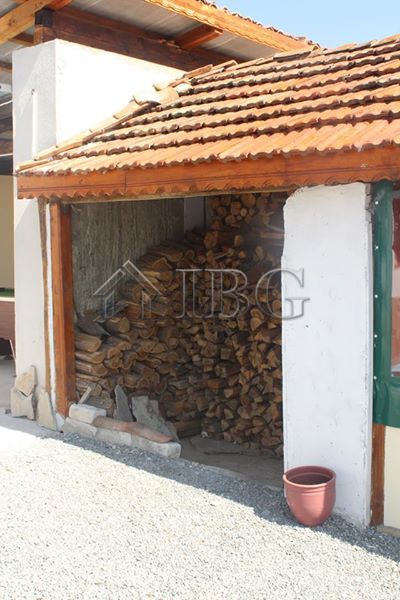 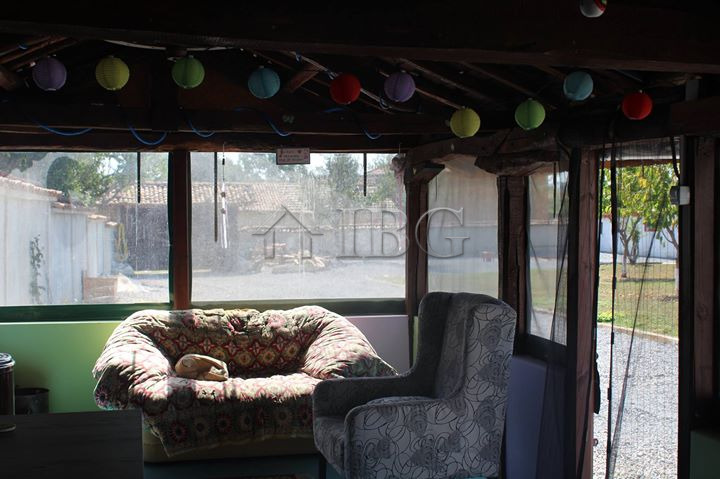 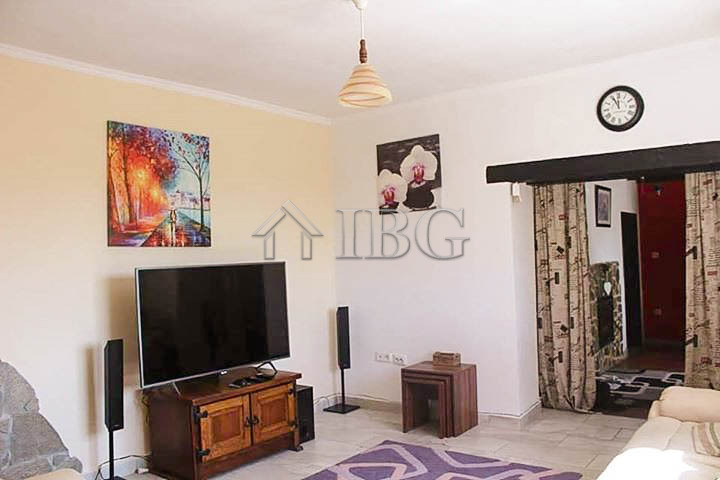 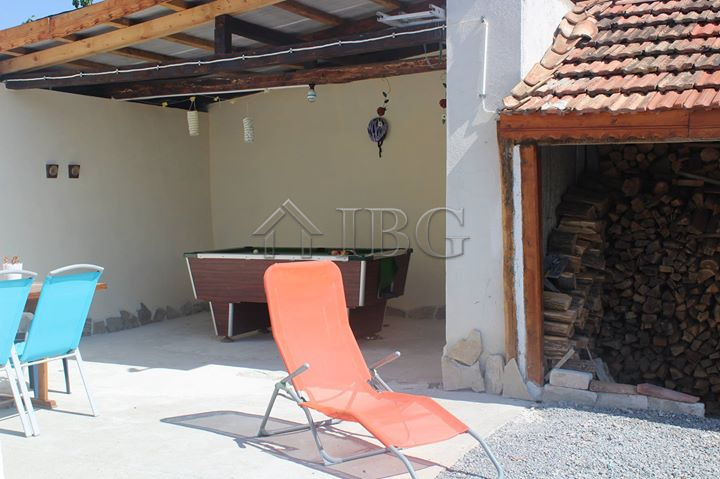 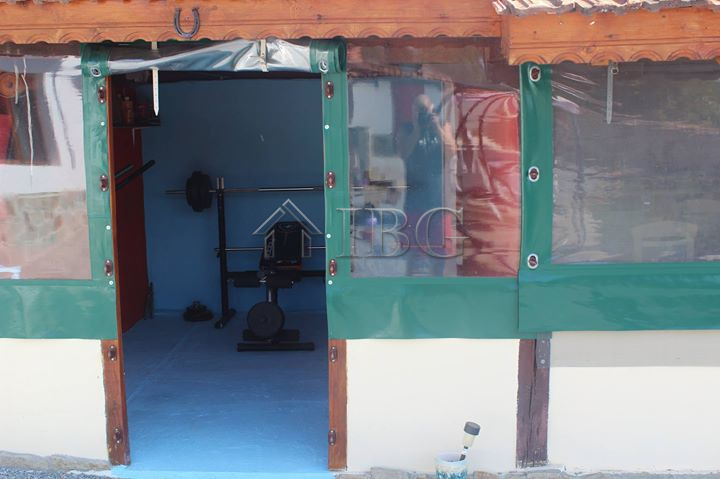 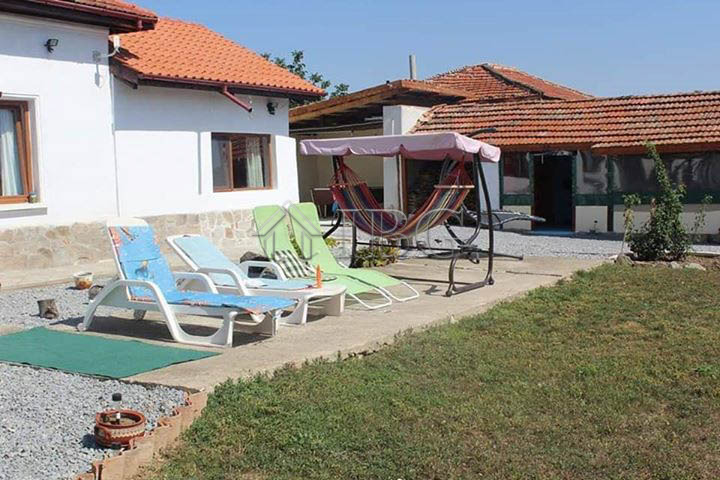 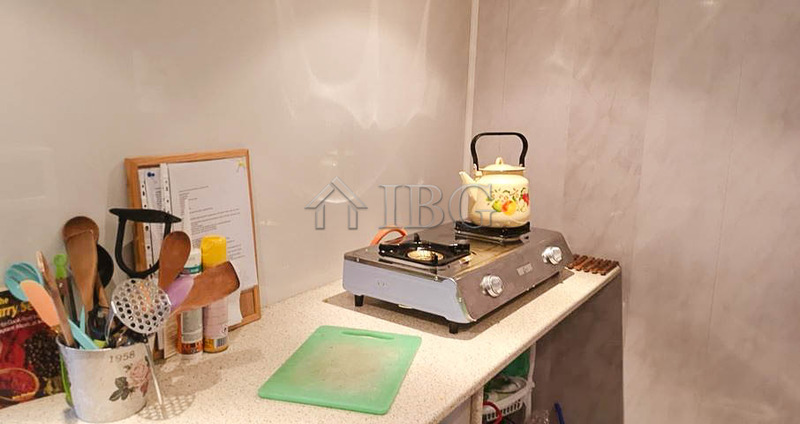 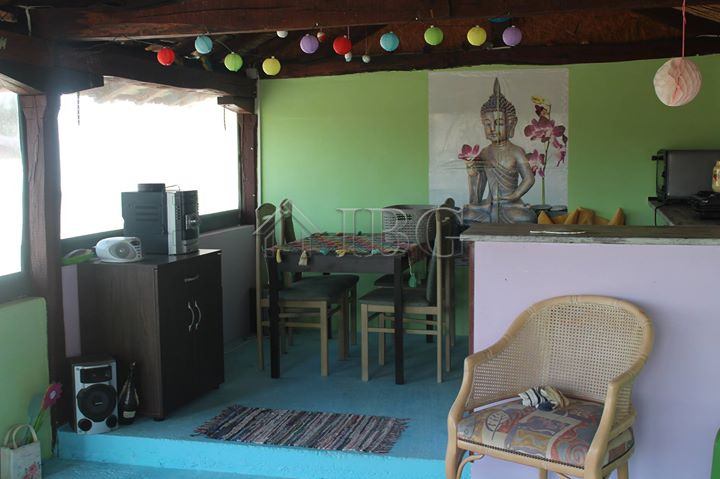 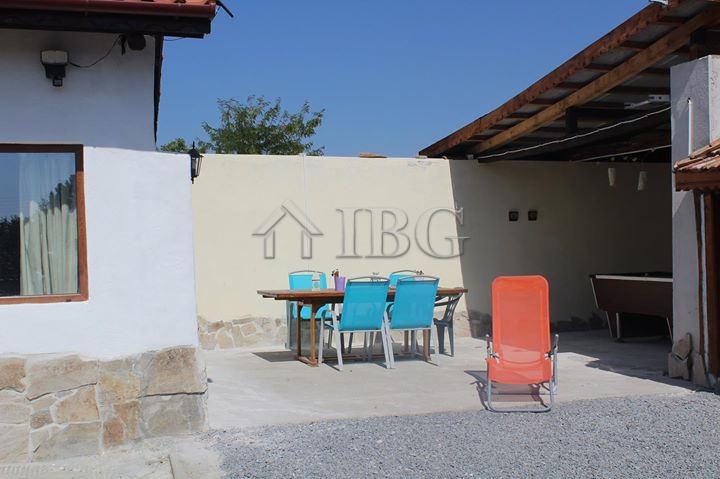 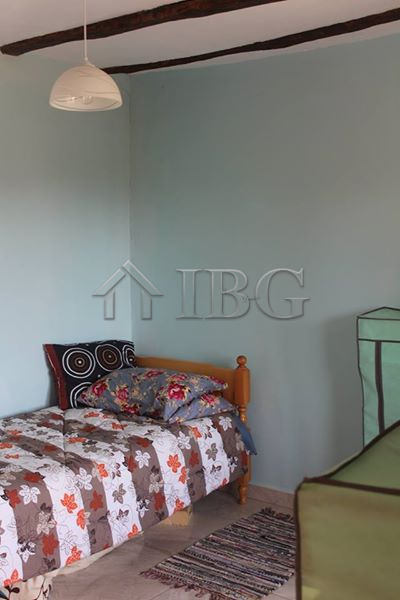 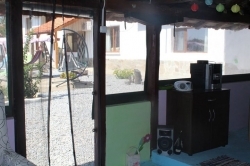 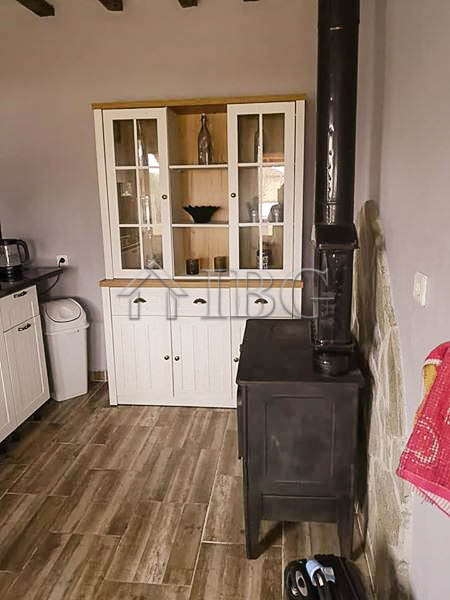 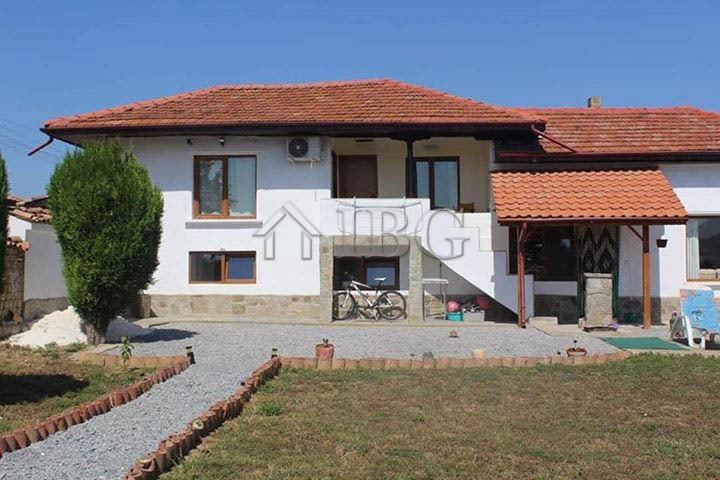 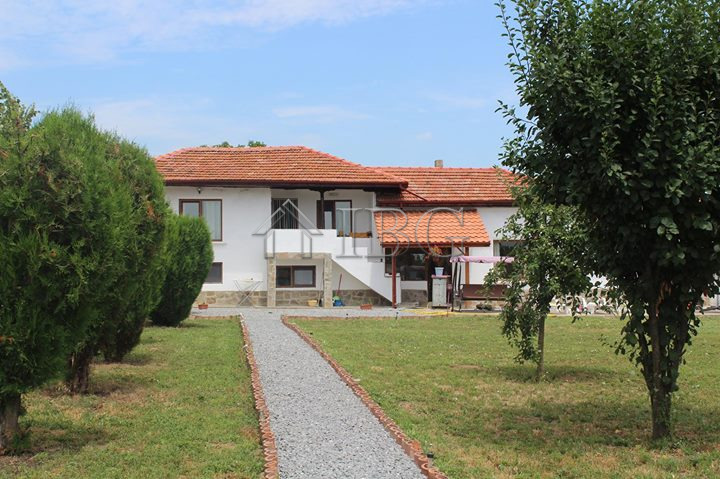 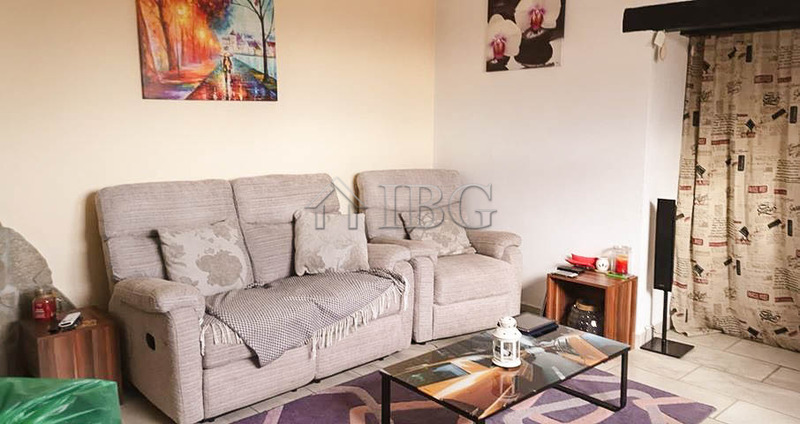 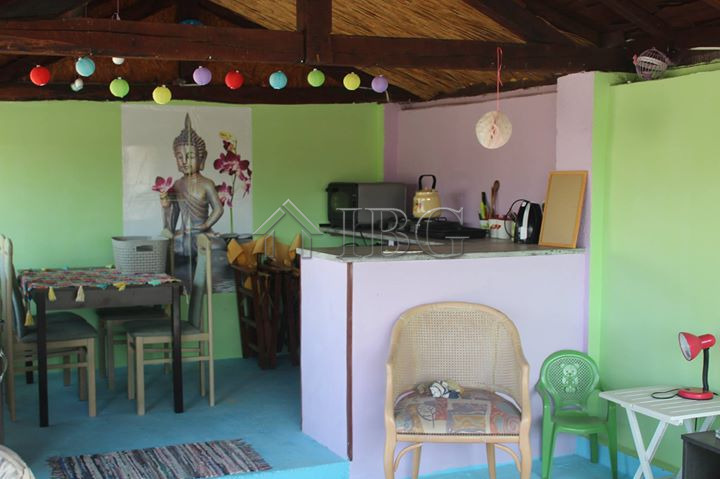 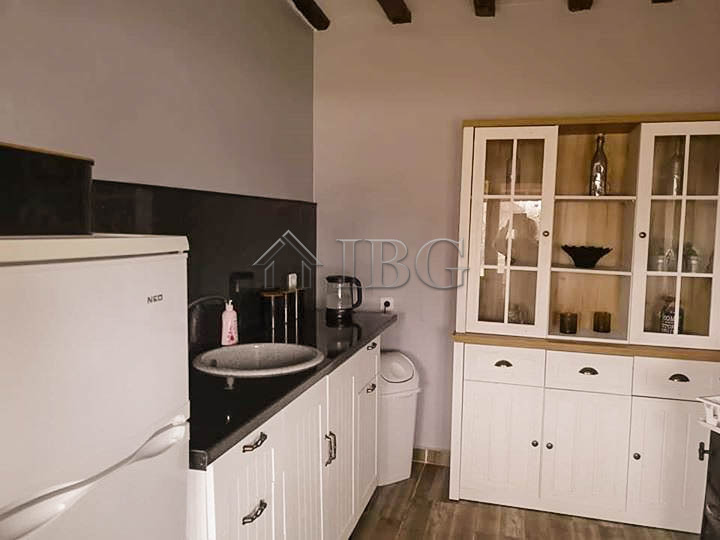 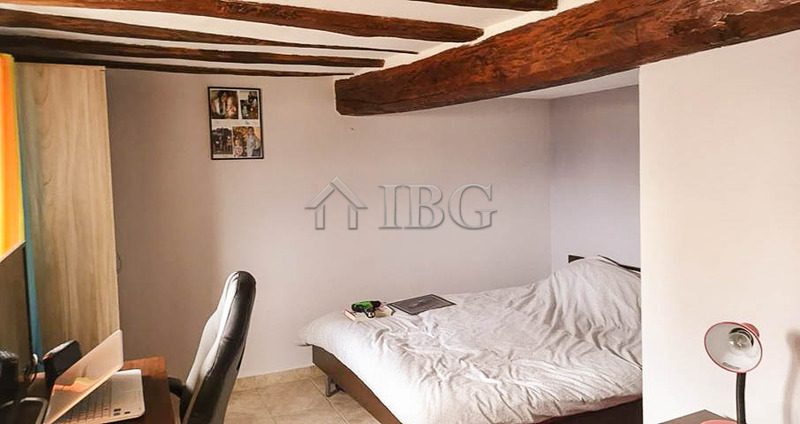 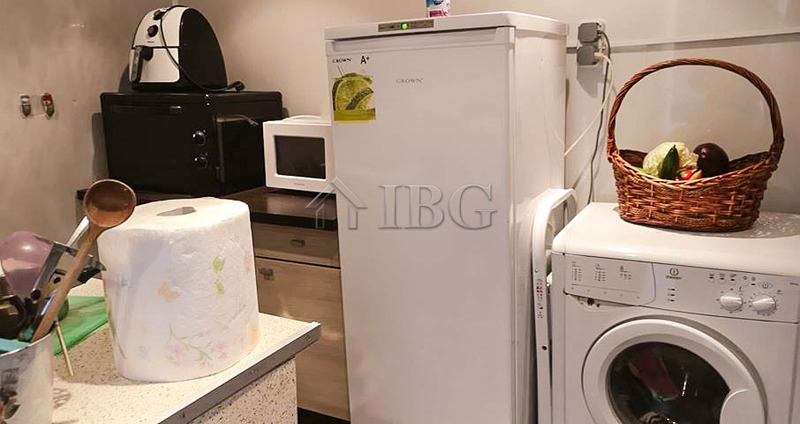 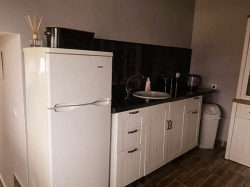 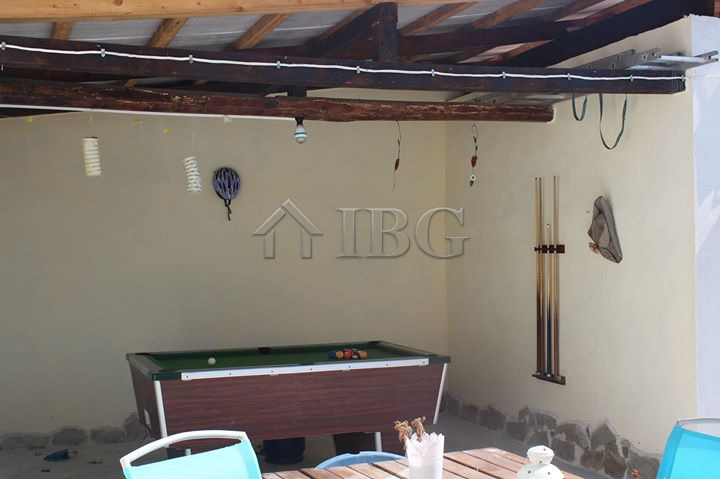 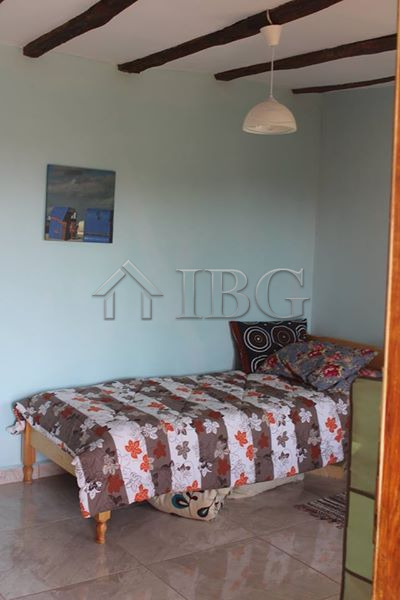 IBG Real Estates offers this comfortable and fully renovated 3-bedroom house located in a peaceful village 17 km from Shumen city. The village has several shops, church, chemist, Post Office, school, and restaurant plus a regular bus route to Shumen, a train station is also close by. 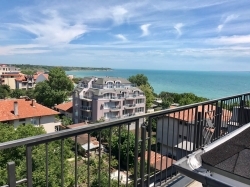 Varna airport is 75 km away. 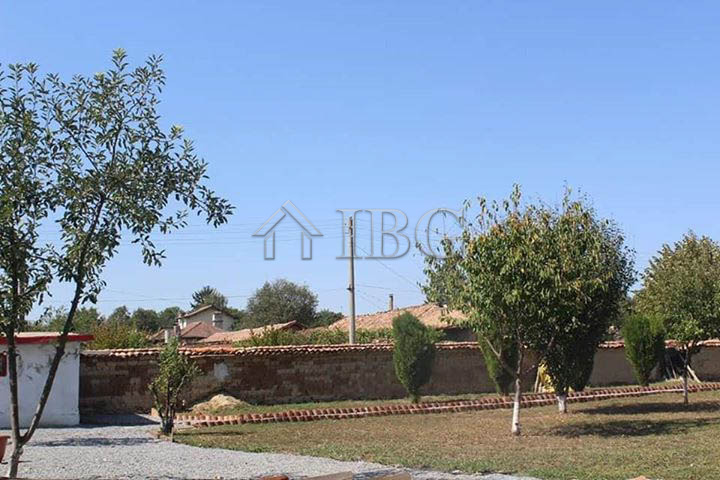 The property for sale sits on a plot of approx. 1,800 sq. 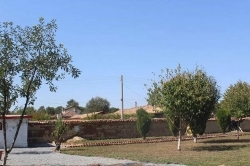 m. on the edge of the village. 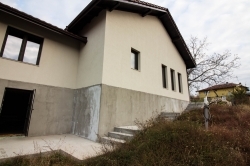 There is a high outside wall all around the property for added privacy and security. 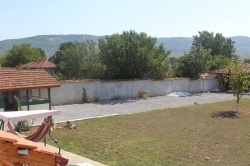 An outdoor balcony on the first floor offers lovely uninterrupted views across the village to the hills close by. 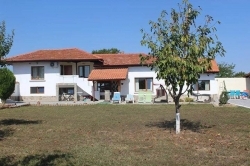 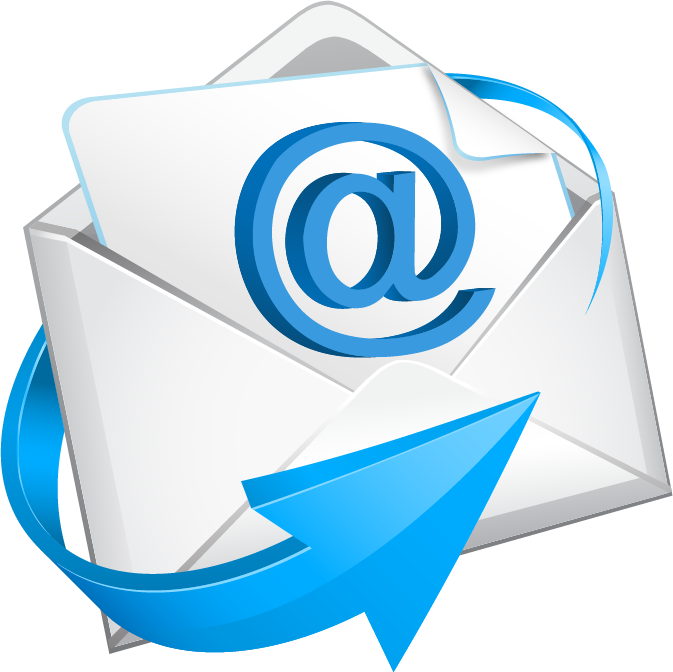 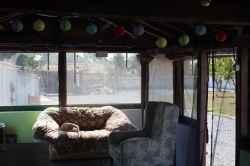 The house has a southward orientation and Wi-Fi is available. 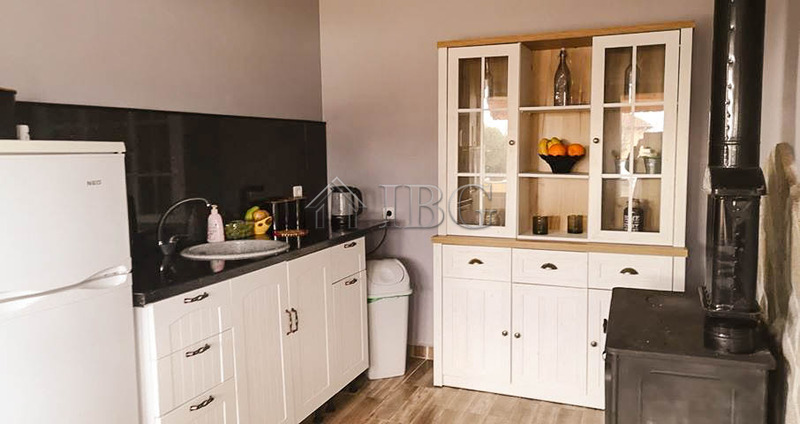 Ground floor: Kitchen area (5 x 3m. ), a small hallway leading to a Utility room and toilet with a fully plumbed in washing machine (4 x 3m. 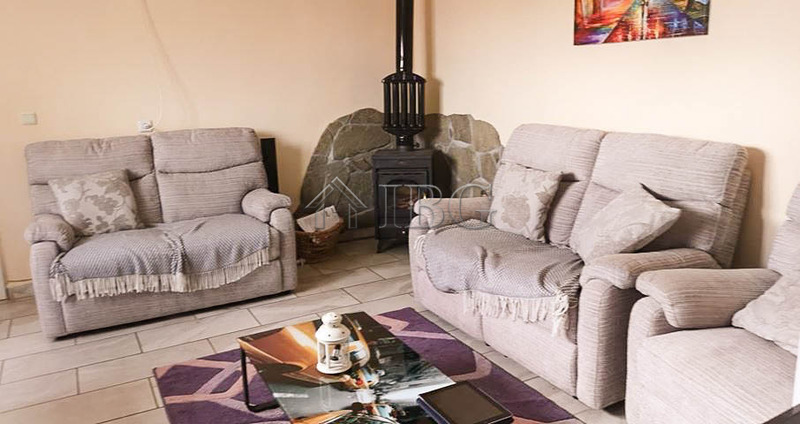 ), a bedroom (5 x 5m), on one side and on the other side from the kitchen - a dining room (5 x 5) and a lounge area (6 x 5m) which has a new air conditioning unit and log burning fire. Upper floor Outside access via staircase to the first floor, a small balcony overlooking the village and local hills, Master Bedroom (6 x 5 m) with new air-conditioning unit and en-suite bathroom, second bedroom (4 x 3 m) with views over the balcony and garden area. 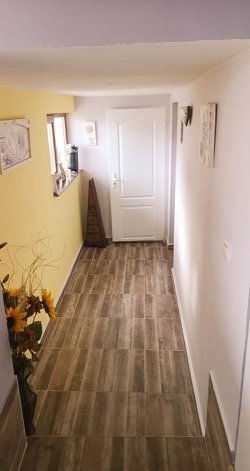 Underneath the staircase is ample space for household and garden equipment. 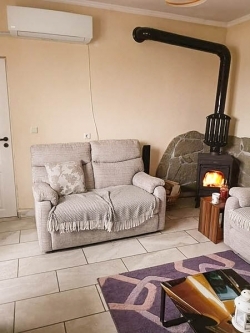 The outbuildings have all been renovated recently to include an "outside Kitchen" (8x4m) with lounge and dining areas and a wood burner to take the chill of during the colder months. There is a gym attached as well. 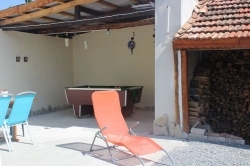 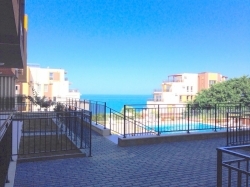 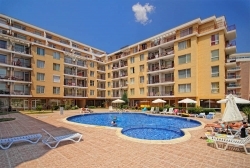 A further outside area is home to the swimming pool during the summer and a BBQ area at other times and an undercover games area with Pool table. 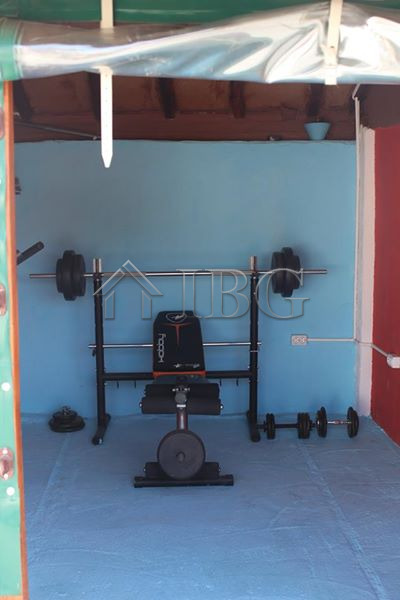 A large single garage is also situated at the bottom of the garden with access at front and rear. 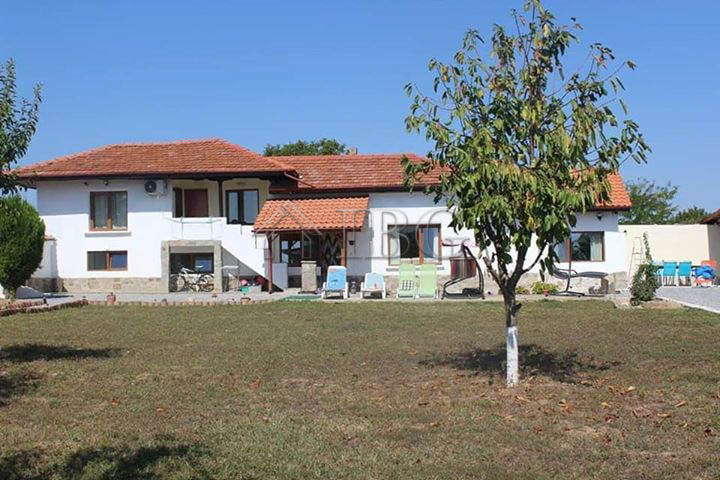 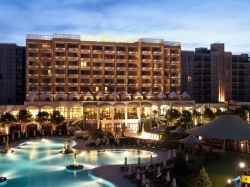 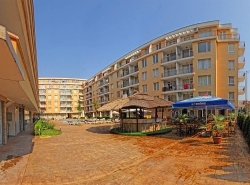 - 100 km from Burgas Airport and the seacoast.